SLICE the jalapeño pepper in half and POUR the tequila in a large glass and add the jalapeño pepper. Cover with cling film to avoid the alcohol from evaporating. 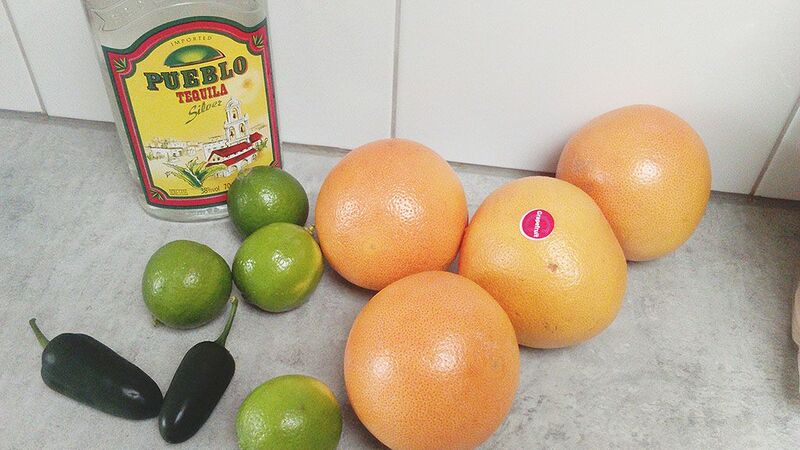 Set aside for an hour, this way the tequila will become spicy. 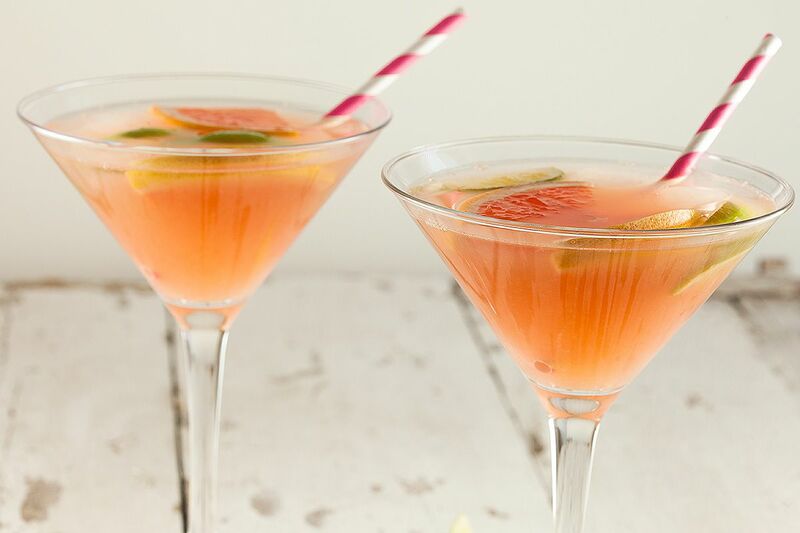 Keep some grapefruit aside for garnish later on. CUT the rest of the grapefruits in half and place them cut-side down on the oven tray. BAKE them in the oven for about 20 to 25 minutes. The cut-side should be a bit blackened. Let the grapefruits cool off until you can handle them using your hands. SQUEEZE the juice from the grapefruits and 1,5 limes and strain it through the fine sieve, the other half a lime can be used for garnish. STRAIN the tequila to get rid of the jalapeño pepper. 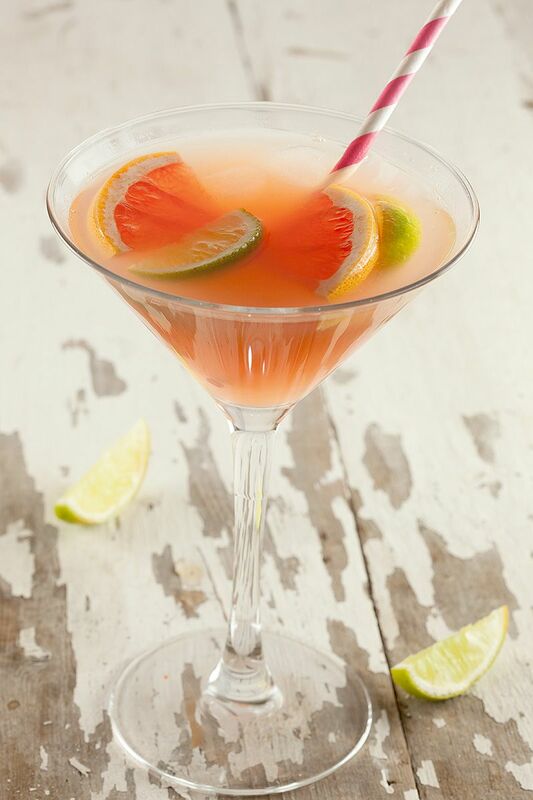 MIX the spicy tequila, Cointreau, grapefruit and lime juice. 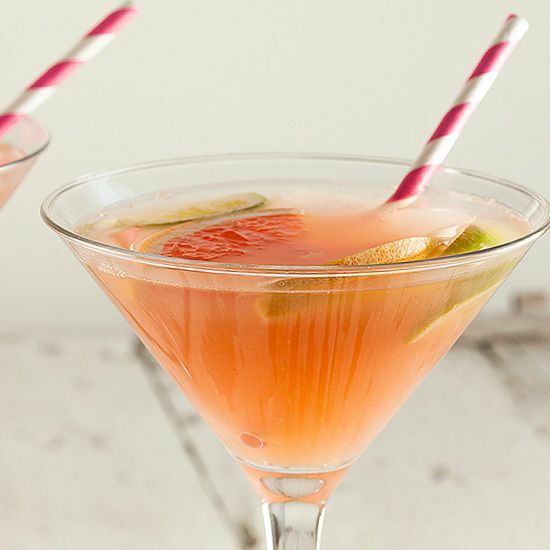 POUR into glasses and garnish with grapefruit, lime and ice cubes. Enjoy!